Cleaning Services Singapore: Where Can I Find The Best House Cleaning Companies? Where Can I Find The Best House Cleaning Companies? If you work, live or study in Singapore, chances are, that your day-to-day life is characterized by an extreme busy schedule. For this reason, you may find it hard to juggle between your office work and house chores and at the same time maintain a hygienic and conducive environment for your family. Most modern families and households thus opt to hire professional cleaners to take care of the numerous chores around the house. This includes laundry and ironing, upholstery cleaning, carpet cleaning, after party cleaning and even simple mopping and dusting of floors. Working moms particularly find these services convenient and handy, given that most of their time of their lives is spent trying to eke a living for their children. This is a top-notch cleaning company that boasts of well trained and professional personnel. @bsolute Cleaning is well known among Singaporean households for their quality and expert service that they accord home owners. The rates offered by this company can be considered premium but the overall time and hassle saved, in the long run, makes it a worthy option. The rates average from $388 a week for around one 4-hour cleaning session to $1080 a week for three 4-hour cleaning sessions. @bsolute Cleaning LTD charges about $30 for each additional cleaning hour desired. Another distinctive feature of this cleaning agency is that it does not charge any agent fees for their part time cleaners. This makes it considerably easier and less expensive to secure a cleaner from this establishment. This is another fully fledged specialized home cleaning company based in Singapore, which is known for investing in modern cutting edge technology in it's cleaning operations. Their cleaning maids are not only fully qualified but also efficient enough to do your cleaning and essential household tasks in record time. With this agency, you can be assured of an affordable rate depending on how often you need your home cleaned. The hallmark of the popularity of the services of this cleaning company originates from their accountability for any damages that could be incurred during your home cleaning. This means that you don't have to worry about damages or lost appliances in your home, when hiring the services of their cleaners. A reliable inside source from this establishment confirmed that the company does some fundamental background check on each of their employees to maintain their reputation, by ensuring they hire only individuals of affable character. Budget homemakers and foreigners residing in Singapore will be elated to realize that Auntie Cleaner (Singapore) Pte Ltd integrates a simple strategy of reducing their rates by eliminating registration and agent charges. This not only ensures value for your money but also promotes affordability of their services to the average Singaporean resident. The service delivery of this cleaning company is clearly above reproach. 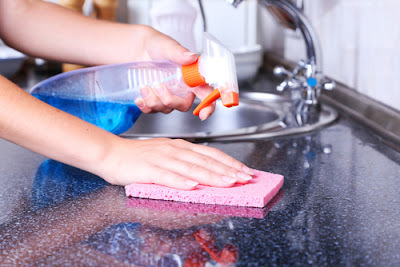 The company has a clean track record in the household cleaning business and is considered one of the most reputable in Singapore when it comes to settling claims for damages or losses incurred through application of incorrect cleaning methods. The company also doesn't incorporate agent charges for their part-time maids in their monthly invoices hence the price of their services is quite reasonable. Singapore Laundry encompasses quality and affordability of its services in one convenient package and, for this reason, helps you save more cash for the same great services. This laundry and home improvement company does not include agent charges to the total billed charges mailed to their customers at the end of the month. If you are looking for uncompromised service delivery at a comparatively good rate, then this establishment should be an appropriate option. Having known some of the available professional cleaning services in Singapore, it's relevant to look at some of the factors to consider when choosing your preferred household cleaning service provider. This ensures that you make the most of the resources provided by these agencies. When it comes to finding or choosing a reliable, professional house cleaning service, it pays to bear in mind the following simple tips. 1.) Write down the most demanding and essential cleaning tasks that you require the cleaning service company to help you in. Are these household tasks done daily, weekly, every fortnight, or monthly? Make a list of the rooms that you require to be regularly maintained. This will help the cleaning service to be in a better position of organizing their personnel to offer more quality and reliable services to you. 2.) Take into account your personal budget that you wish to allocate in enjoying the services of professional home cleaners. This will be helpful when selecting the most convenient and pocket-friendly rate. 3. )Set up a meeting with the cleaning service company, ask about the different rates available. While at it ask whether or not you have to pay for overtime in case the cleaner is unable to finish the work in the allocated time. 4.) Ask about the cleaning supplies used and whether the company provides the part-time maids with the relevant products they require for their services or if you have to provide them yourself. This will also ensure that you know what precisely the cleaners use in your home in case you are allergic to certain chemicals. 5.) 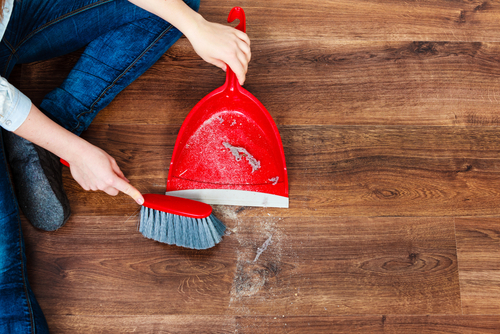 Most importantly ask about how the agency handles claims for loss compensation or damages sustained during the cleaning process and the relevant procedure to follow. This might help you avoid a lot of misunderstanding in the future.